Many students in Maine desire to attend college but don’t know how they are going to pay for it. Not everyone has family who can afford to pay for college. Student loans must be paid back, which often causes hardship after graduation. 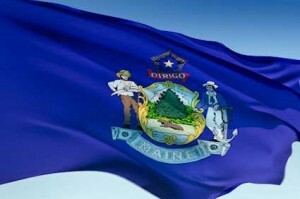 Fortunately, many grants and scholarships are available to people who live in Maine. Money is available for people in certain professions, people affiliated with certain organizations, and people who live in certain counties. Money is also granted based on criteria such as financial need, disability, and academic excellence. No matter what a student’s situation may be, he or she should be able to find a scholarship program to help realize the dream of completing college. Succeeding in college requires in large part the ability to understand and follow directions. Use the same attention to detail when it comes to filling out the application. Read the requirements for receiving money for school and make sure you meet the qualifications. Failure to do so can result in wasting your time filling out an application for a scholarship or grant that you don’t qualify for. Complete the application neatly and fully. Your application is the first impression you will make and you want that impression to be a good one. Submit the application well within the deadline, otherwise it won’t be processed. Once it is complete, double check the address so you can send it to the correct place for processing. Below are just some of the Maine scholarships available to Maine residents. Always visit your high school’s guidance office or your college’s dean for more information about scholarships and grants available to you. The Central Maine Power Company Scholarship is awarded to dependents of employees or those who recently retired from the company. Applicants must live in the surrounding towns served by The Central Maine Power Company. They must also graduate from a high school in Maine and enroll in an accredited college or university. Scholarships are awarded based on a number of criteria, including financial need, academic achievement, extracurricular activities, and personal goals and aspirations. The maximum award is $10,000 and is not renewable for subsequent years. Applicants can access the application at www.mainecf.org. They can also call 207-667-9735 or email info@mainecf.org for more information about the scholarship. The Chet Jordan Leadership Award is available to those who live in Cumberland County, Penobscot County, Aroostook County, and Kennebec County. The scholarship does not require a student to demonstrate financial need. Instead, it recognizes those who are striving to achieve their goals despite going through adversity, hardship, or those dealing with a disability. The maximum payout for this award is $10,000. Applicants can call 877-700-6800 for more information about the scholarship. The Churchill Family Scholarship is a $1,000 scholarship awarded to high school seniors who desire to pursue a four-year degree in vocal music performance or education. To win the scholarship, applicants must compete in an annual vocal music completion held each spring and be prepared to enter college in the fall. The 2012 competition will take place on April 7 at the Musica de Filia Studio. The application fee is $20 and the application is due by March 26. Students can obtain more information about the competition at www.musicadefilia.com. Information about the Churchill Family Scholarship can be obtained here. Students can also call Jaye Churchill at 207-329-4743 or email her at jaye.musica@gmail.com. The Early College Program scholarship is available to high school students who have demonstrated that they are capable of college level work, but who haven’t yet made plans to attend college. The maximum award amount is $2,000. 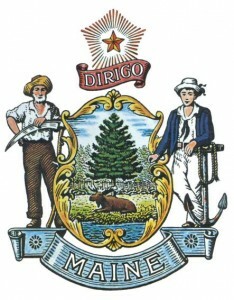 Students must attend a Maine community college to receive this award. Applicants can apply for the scholarship by obtaining an application from their high school guidance office. Students can learn more about the scholarship at www.earlycollege.me.edu. The EMU National Scholars Program is available to new freshmen or transfer students from any state other than Michigan or Ohio who have at least a 3.0 GPA and live on campus the first two years. It is a four-year award and it pays for 15 credit hours per semester, for a total of 30 credit hours per year. Students don’t have to apply for this scholarship because it is automatically awarded to those who qualify. The Guy P. Gannett Scholarship is awarded to students who enroll in a journalism or related program, which includes electronic media, broadcast media, and print media. However, it excludes the following fields of study: entertainment, advertising, graphic arts, mass communication, filmmaking, and public relations. As long as the student maintains an interest in a journalism career, the scholarship is renewable throughout the life of a student’s college enrollment, including graduate studies. In addition to interest in journalism, students must also demonstrate financial need and excel academically. The award amount is based on the amount of funds available at the time the scholarship is awarded. Students can access the application at www.mainecf.org. For more information, students can call 877-700-6800 or email info@mainecf.org. The Hugh and Elizabeth Montgomery Scholarship is awarded to students who live in Maine’s Franklin County. To be eligible, students must be adults who are beyond school age. Preference for the scholarship is given to those students who have demonstrated significant financial need. Applicants can find the application at www.mainecf.org. They can also contact Betty Gensel, the Franklin County Community College Liaison, at 800-517-2859 or email info@mainecf.org. Lighthouse Scholarships and Career Awards is sponsored by the Lighthouse International’s Women’s Committee. It is a one-time, $10,000 scholarship awarded to freshmen, undergraduates, and graduates who are legally blind or partially blind. The committee is not accepting applications for 2011. Visit www.lighthouse.org for information on when applications for 2012 will be accepted. Applicants can also receive information about how to apply for this scholarship by emailing sca@lighthouse.org. The Maine Community College Scholarship is available to students in either high school or technical school. Students are identified in their junior year and nominated by the school in their senior year. The award is $500 each semester for a maximum of two years as long as the student attends a community college and meets the other requirements of the scholarship. The money is paid directly to the school and can be used for on-campus housing, books, tuition and fees. Students can learn more about the scholarship at www.ccd.me.edu. They can also email Dorry French at dfrench@ccd.me.edu or call 207-767-5210, extension 4117. The Maine Community Foundation offers more than 400 scholarships for residents of Maine. They offer scholarships for post-secondary students, graduate students, non-traditional students, students attending private school, students attending technical school, and students who live in certain locations and counties. Students should check the foundation’s website at www.mainecf.org for a full listing of scholarships offered. Some scholarship information won’t be available until 2012 because the deadline for those scholarships has passed. For more information about any of the foundation’s scholarships, students can call Amy Pollien, the Program Administrator, at 207-667-9735 or email at apollien@mainecf.org. The Osher Scholarship is awarded to previous college students who are not currently enrolled in college and have taken no more than 24 college credit hours. They must be admitted to an AA program and the scholarship awards the student two free courses, which is an award of approximately $500. Scholarship recipients must pay for books and other fees with their own funds. Applicants can find out more about the Osher Scholarship at www.mccs.me.edu. The Pearl Starbird Scholarship is a renewable scholarship available to residents of Oxford County and those who have graduated from any high school in Naples, Maine. The scholarship is awarded to those students who plan to major in music and fine arts. Preference is given to students who study classical music, painting, sculpture, or drawing. Students majoring in landscape design, architecture, interior decorating, interior design, or culinary arts are not eligible for the scholarship. Students can access the application at www.mainecf.org, call 877-700-6800, or email info@mainecf.org for more information about the scholarship. The Veterans Dependents Educational Benefits Award is a tuition waiver program available to dependents and spouses of veterans who were Maine residents at the time of enlistment. The veteran must have been disabled while in military service, missing in action, or a prisoner of war. Students eligible for this award must be high school graduates, submit proof of the veteran’s disability, be under 22 years of age, and must submit their birth certificate. The award is not available to students still in high school. The duration of the award is for eight semesters at Maine Maritime, Maine University system, and various technical colleges. Applicants can apply by contacting director Roland Lapointe at 207-626-4464 or email mvs@me.ngb.army.mil. Students living in the state of Maine who attend community college and plan to enter certain career fields are eligible for a number of career-specific scholarships that they can apply for through their college’s financial aid office. The AAA Northern New England scholarship is a $1,000 scholarship awarded to students who enroll in their community college’s automotive technology program. The Maine Antique Power Scholarship is a $400 scholarship awarded to second-year students who enroll in their community college’s automotive technology program. The Maine Automotive Trade Show Association is a $500 scholarship awarded to second-year students who enroll in their community college’s automotive technology program. The Maine Chapter of the National Association of Women in Construction is a $500 scholarship that also provides emergency assistance to women enrolled in a construction or similar program. The Maine Healthcare Engineering Society Scholarship is a $500 scholarship awarded to second-year students who enroll in their community college’s engineering program. The Maine Higher Education Assistance Foundation’s Maine Community College Scholarship is a $1,000 scholarship awarded to second-year students who enroll in their community college’s business-related courses. The Maine Hospitals Engineers Society Scholarship is a $2,000 scholarship awarded to students who enroll in their community college’s engineering or similar program.